NASDAQ / What Makes a Great Board? Nasdaq recently spoke with Betsy Atkins, a scholar of board behavior, veteran of 23 boards and 13 IPOs, and author of Behind Boardroom Doors, about her views on best practices for building an effective board. In addition to her board service, Ms. Atkins is also well known for making very early stage investments in Yahoo and eBay through her venture capital firm Baja LLC. Excerpts from our conversation follow. Q: How do newly­public companies go about constructing a board? A: Think about building a new board the way one would for a leadership team. It’s important to recruit people who have professional experience going through similar stages of growth that the company will experience in the next three to five years. $1B to $15B is a very different journey than $100M to $500M. The corporate structure is different for a large global multi­national with a big complex matrix organization. Q: How does a company determine the right mix of skill sets and talent for the board? A: The company’s first step is to figure out what they need, ask yourself to think about the functional capabilities and expertise that will accelerate its business and then try to map that to the attributes of board members who bring different and complimentary perspectives to the discussion. A company will need board members or two or three with experience that is well­matched to the organization’s current and upcoming stages of growth. Companies may want to have a sitting or former CEO among the mix. Companies should also look for one or two people with deep domain expertise that understand their business. If the company is in the ad tech, cybersecurity, or industrial business, for example, they will want at least one or two members who either come from that specific industry or have been in related, adjacent industries with customers that are similar to the ones they are targeting. Companies may also find it valuable to have people whose experience in the “partner eco system” of the company’s distribution model. For example, if the company is a retailer, it needs board members with retail experience, even if it’s not in that same exact retail category. There will be parallels, for example, between women’s apparel and men’s apparel, for example. Similarly, a company might find it valuable to add a board member who has been in the e­commerce business, if the company has identified this as an important area of growth for its distribution channel. Alternatively, it might want somebody in the social media and content creation business because it wants to engage and influence buyers. Q: Is the process different for recruiting new talent for an established board? A: Yes, the challenges are very different for a large cap multi­national corporation. These companies may have moved through the growth company stage and are possibly into the value company stage. Value companies, such as Proctor & Gamble and Kimberly Clark, grow at about 5% per year compared to a new Nasdaq IPO that has growth objectives of 25% to 35% per year. very different. It’s important to look for different perspectives as a company populates its board and renews its board as it goes through different stages of growth. Q: For established companies, what is the best approach to board refreshment? A: The Board’s governance committee, which typically includes governance and nominations, should look at the Board’s individual and collective skill set annually with an eye toward creating a matrix of the skills that the company thinks it will need in the next three to five years. For example, most companies don’t have enough experience in digitization, digital transformation, or technology. Pretty much every business today is going through a digital transformation of some kind and needs to understand how to monetize their “Big Data” through analytics, implement distributed global computing and secure mobile access, whether it is doing business by e­commerce or using e­commerce as a way to take cost out of the supply chain. Sometimes an assessment is forced on a board if the company is underperforming, and the shareholders will provide feedback on what they think the board is missing. If a company is really underperforming, activists will get involved and certainly they will make it known what they think the company board skill set is missing. The practical advice on how to actually execute board refreshment is another conversation. It’s definitely awkward and contentious. Your Board Chairman needs to have the fortitude to look at a fellow member and say to them, “You were really a fantastic board member for ten years, but for the next five we need somebody different.” Board renewal is an art. It is going to be uncomfortable, but it is important to go about it in a professional and non­personal manner without bruising egos. Q: What do you think about the role of proxy advisory firms in reviewing boards? Do they serve a constructive purpose? A: Proxy advisory firms have tried to make things so formulaic that their approach doesn’t fit all situations. I do think that there’s some value, because the institutional shareholders, the big ones like Fidelity and State Street, listen and act on their recommendations voting their shares based on the opinions expressed by ISS. So they’re very powerful. If ISS says “your board is stale, and you need to rotate in some new members,” it may trigger board renewal. And by and large there’s value in all organizations, at all levels, to occasionally renew themselves. This is true whether it’s a management team or a board. Q: How do you feel about the current pressure to disclose board evaluations and corporate governance guidelines in proxy statements? A: The Board has a difficult task of looking at themselves and saying, “We don’t really have great strength in this area or that area.” It’s a hard process for any group to evaluate itself objectively and come up with an action plan. More disclosure is inevitable so it may make sense for companies to proactively embrace some additional disclosure related to board assessment and refreshment. Large institutional shareholders are going to demand it, as they are no longer going to be passive index fund owners. They’re going to require companies to disclose much more going forward, which will likely ensure board assessment and refreshment will happen more frequently. Q: Statistics show that newly­public companies typically have a smaller percentage of women on boards than larger enterprises. What advice do you have for newly­public companies on identifying and recruiting qualified female candidates? A: There are many companies that specialize in recruiting and promoting women board members, like Trewstar and Kingsley Gate. And there’s a new sort of LinkedIn version of finding board members, called ExecRank, which offers access to a pool of tens of thousands of qualified women director candidates. So there’s a variety of ways for companies to identify qualified women candidates. Q: There is a perception in corporate America that there aren’t enough qualified women candidates in the talent pool, impeding progress toward parity in the boardroom. Do you agree? A: I believe there are plenty of talented and capable women director candidates. There’s no lack of talent. As part of a company’s board refreshment, they need to make gender diversity part of their focus. I’m actually optimistic that it’s going to happen because institutional shareholders who have the most influence, like State Street, Vanguard, and Fidelity, are all stating that they want to see gender diversity. Just 15 years ago they were more passive, but that’s not the case anymore. They now have very robust governance groups. Certainly, Anne Sheehan of CalSTRS is a marvelous example of explaining what her pension fund wants to see in the boardroom. I believe this is going to drive change in a positive and much quicker way than it has in the past. Betsy Atkins serves as President and Chief Executive Officer at Baja LLC, a venture capital firm she founded in 1993. She is currently on the board of directors of HD Supply, Schneider Electric and as of January 2016 Volvo Car Corporation. She has also served on the board of directors at Nasdaq and as Clear Standards CEO and Chairman of the SAP Advisory Board, among many others. A self­proclaimed “veteran of board battle scars,” Ms. Atkins will be collaborating with Nasdaq to produce a series of corporate governance “nuts and bolts” articles. Stay tuned for an upcoming interview with her on the art and science of board refreshment. Do you have a question about corporate governance for Betsy Atkins? 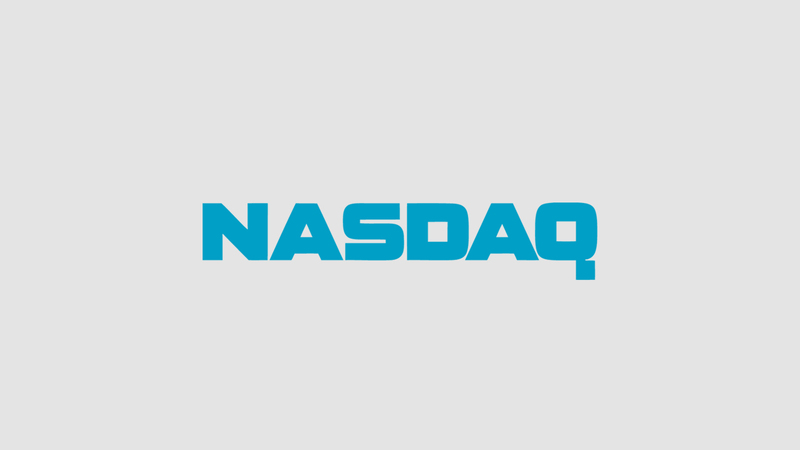 If so, please send your question to comments@nasdaq.com and we will address it in a future post.